Vulture funds were using the section 110 loophole to avoid paying huge amounts of tax. THE CLOSURE OF a tax avoidance loophole is expected to net the state €50 million – but it has been claimed a proper crackdown should yield 10 times that figure. Finance Minister Michael Noonan announced in yesterday’s budget that the government will move to close off a legal loophole that allowed many large vulture funds to avoid paying large amounts of tax. A clause in an act from 1997 allowed large businesses and vulture funds to set up a qualifying ‘section 110′ company that could operate effectively tax-neutral. Many major funds, which have acquired distressed Irish assets worth hundreds of millions of euro, used the loophole to register as charities and pay very small amounts of tax – as low as €250 in several cases. Last month Noonan announced that the Department of Finance was looking at ways to deal with the loophole, changes which he said would be in a new Finance Act that is expected to be passed before the end of 2016. In budget documents published yesterday, it was estimated that amendments to section 110 to address the “unintended uses of the section”, alongside “further amendments (which) will address other issues arising in relation to funds and property” will yield €50 million in 2017. 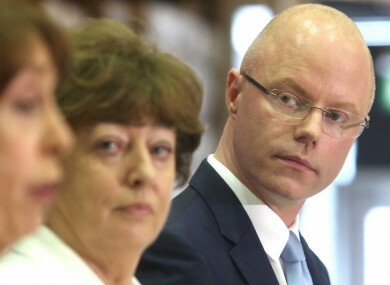 However, that number has been criticised by independent TD Stephen Donnelly, one of the first to highlight the back-door use of the legislation. Speaking to Fora, he said that the government is either dramatically underestimating how much will be taken in from closing off the loophole or the issue is still not being properly addressed. “Either it is a placeholder made low to keep expectations low or their are not intending to cut it out properly at all,” he said. If you are not getting hundreds of millions of euro than we are not shutting it down as there is hundreds of millions or euro being avoided. When asked how much the state could collect, Donnelly pointed to his own submission to the government identifying that vulture funds have purchased about €40 billion in Irish assets in recent years. It said that, assuming vulture funds would expect an annual yield of about 8% from their assets, there is about €3 billion to €4 billion on annual Irish income going untaxed. Taxing this income would add approximately €1 billion per year to the fiscal space. “Fairly straightforward maths would suggest that taxing this income would suggest (the state) would receive about €1 billion. Assuming that there is some leakage on that it should still be at about €500 million,” he said. While announcing the budget yesterday, Noonan admitted that section 110 “is now being used in relation to property in a way that was never intended”. He said: “I have published draft amendments to section 110, to address these unintended uses. Noonan also announced several measures to reduce offshore tax evasion in response to the revelations contained in the Panama Papers. The government estimated that these measures will yield about €30 million. Email “Tax avoidance clampdown expected to take in €50 million 'should yield €500 million'”. Feedback on “Tax avoidance clampdown expected to take in €50 million 'should yield €500 million'”.